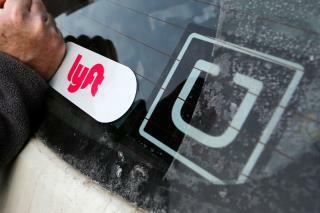 (Newser) – A new ruling from the California Supreme Court might mean big trouble for the business model of companies such as Uber and Lyft. The upshot is that Monday's decision makes it harder for companies to classify employees as independent contractors, reports the Los Angeles Times. "This could ruin the gig economy as we know it," is one quote from an attorney not involved in the case cited in a report at Law.com. "It’s a massive thing—definitely a game-changer that will force everyone to take a fresh look at the whole issue," is another collected by the New York Times. The court applied what's known as the "ABC test" to determine who qualifies as an independent contractor. This Cornell Law blog post has details on the criteria, but it boils down to this: If the worker performs a task that is part of the "usual course" of the company's business, he is an employee, not a contractor. So what about all those "6-month contract" with potential for full-time hire jobs? Everything seems to start out as a contract these days, because it is far harder to remove employees and companies want a trial period. Also, none of this would be an issue if we finally decoupled health care from employment. Companies would not care that much how their workers are classified and neither would workers, except perhaps for things like paid leave.